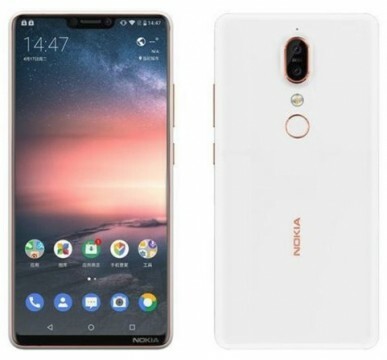 The next Nokia handset made by HMD, which is the company behind the recent resurgence of the Nokia brand, will release the Nokia X. This device will be the first Nokia to feature that notorious notch that is now found on near enough every smart phone being released at this time. We can also expect the handset to run Android 8 Oreo. We saw earlier this month from an advertising board that appeared in China that teased an upcoming Nokia announcement, and it also featured a picture of an X which was formed by two phones. Many thought at first that this was referring to a single new Nokia X, but it now looks to be in reference to the resurrection of the Nokia X brand as a whole. HMD has been very keen to resurrect older Nokia names, even more so now due to the better than expected success the Nokia 3310 saw last year. Many believe that the new Nokia X phone will be called the Nokia X6. The Nokia X6 was originally released in 2009, and signifies the woes that Nokia faced during the growth of their competitors in the form of Apple and iOS. The Nokia brand, which was nearly wiped out during Microsoft ownership, has seen a huge resurgence since HMD took stewardship. We have seen some super handsets come from the company now, like the Nokia 8 Scirocco and the Nokia 7 Plus. The Nokia X has gone through TENAA certification, which in turn has confirmed many of its specs. Many expect the new handset to pack a Helio P60 processor with 4GB of RAM and 64GB storage. There will be a second version that will most likely have a Qualcomm Snapdragon 636 chipset, with 6GB of RAM and 128GB of storage. We can also expect a 32GB version to make its way onto market. The smart phone is expected to have a 5.8-inch screen with a 2280x1080 display with a 19:9 resolution. A dual 12 and 16MP rear camera system will also feature, along with a rear mounted fingerprint sensor. Also seen in the TENAA listing is a 16MP front facing camera, and also suggest the phone will house a 3,000aMh battery, but unfortunately does not show any signs of microSD expansion capabilities. We will have to wait and find out the full specs closer to the release date.